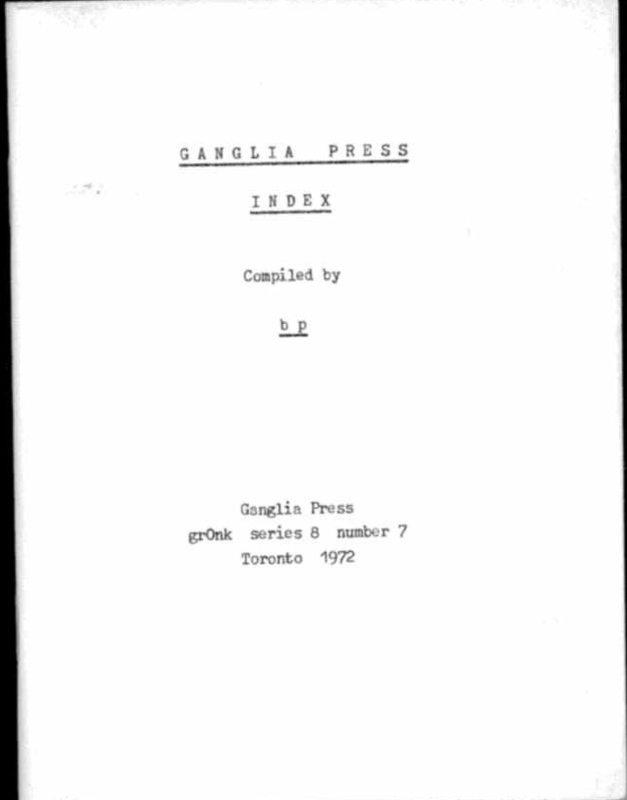 Ganglia Press Index. grOnk series 8 number 7. Toronto 1972. Published in an edition of 300 copies.